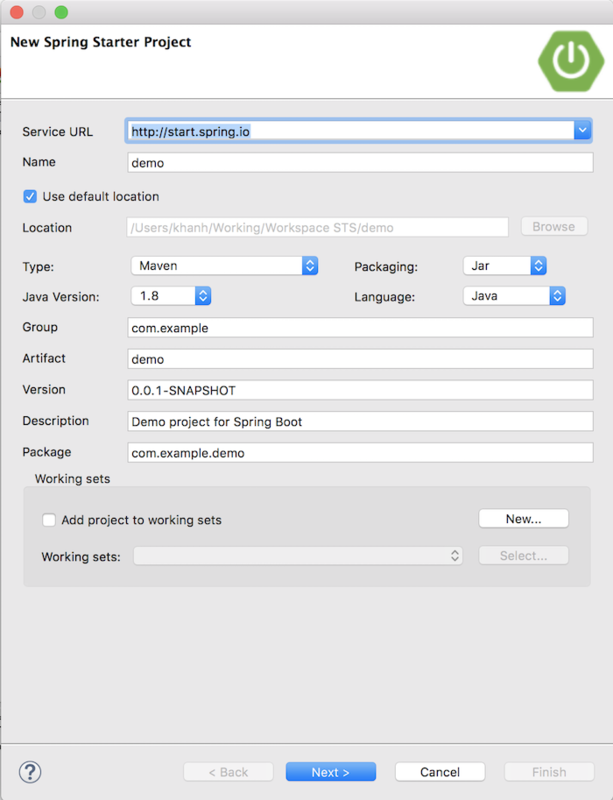 The Spring Tool Suite (STS) is a powerful tool for developers working with the Spring framework. With Spring Boot, it is no exception. 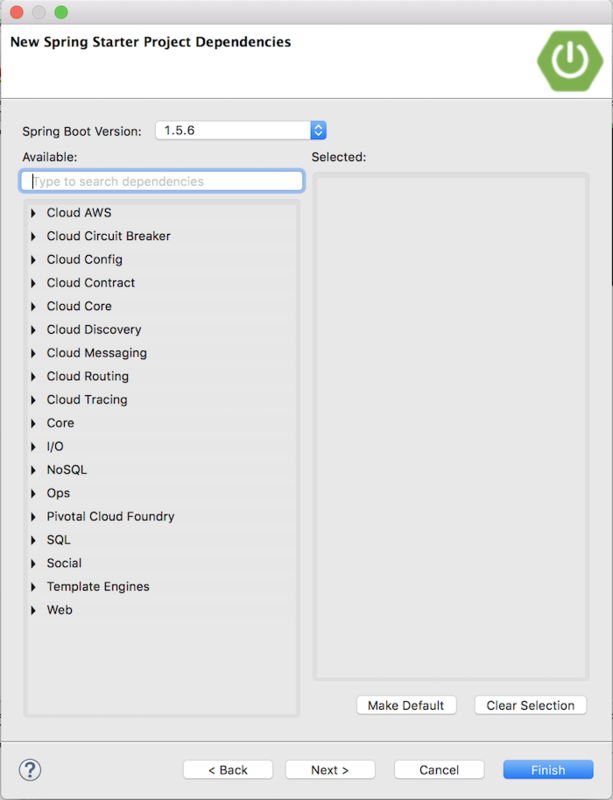 In support of Spring Boot, STS has integrated with Spring Initializr that makes it easy to get started with Spring Boot. 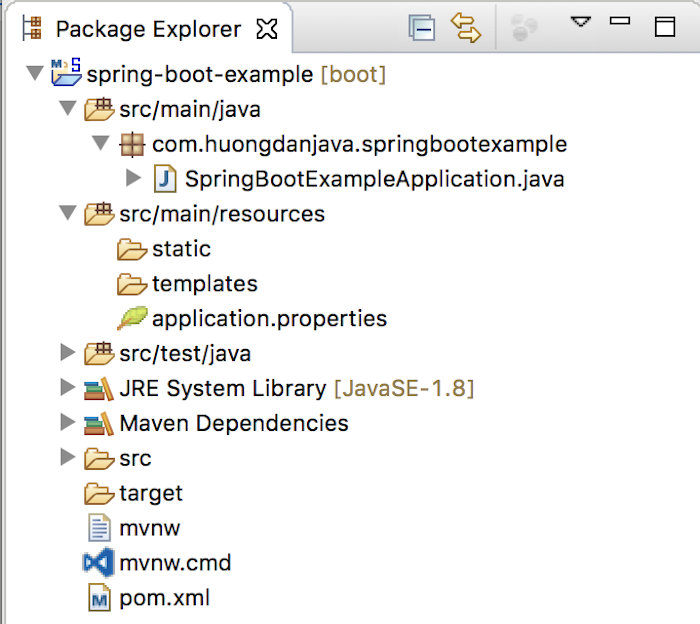 In this article, I will guide you all how to create new Spring Boot project using Spring Tool Suite. I’m using STS version 3.9.0.RELEASE. First, start up your STS, then go to File, select New then Spring Starter Project. A New Spring Starter Project window will appear. In this window, as you can see, there is a lot of information we need to enter. First information is the Service URL. By default, the value will be http://start.spring.io. 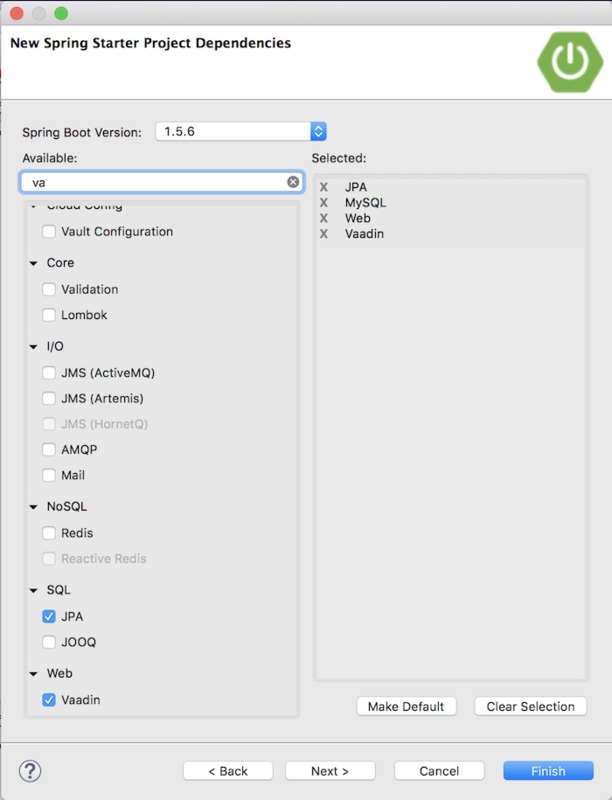 This is the Spring Initializr URL, that helps Spring Tool Suite can get all needed information for creating Spring Boot project. Let leave it with default value. The Project Name field is your project name. You can choose your project type Maven or Gradle in Type, select Packaging as JAR file or WAR file, choose the Java version to use. The rest are the necessary information of Maven or Gradle project including Group Id, Artifact Id, Version, Description and Package. After finishing, let click Next button to continue. A Dependency window will appear. Like creating a Spring Boot project using the Spring Initializr Web, enter the dependency name you want to add to your project, and STS will suggest it to you. Dependency for the Web will appear, you just mark it as okay. After you have selected the dependencies, let click Next button to continue. 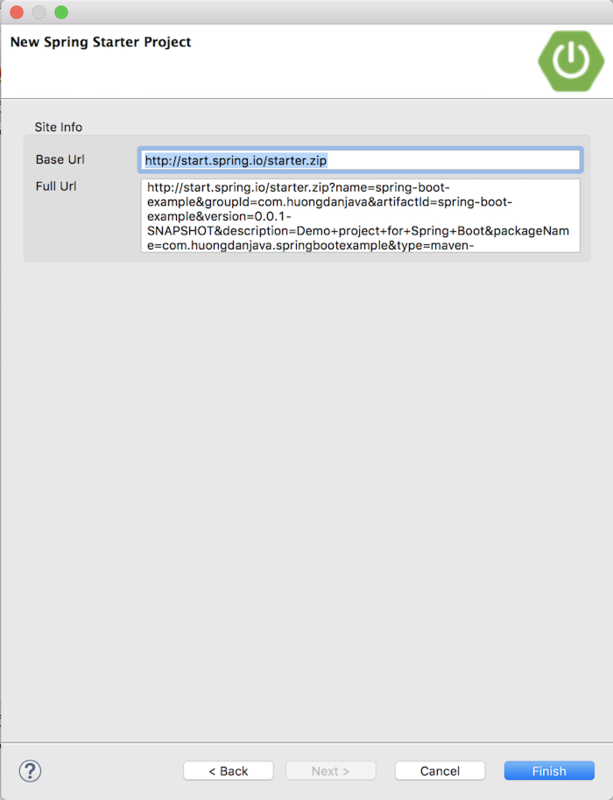 As you can see, above is the URL of Spring Initializr for the web, STS will call this URL for Spring Initializr to create Spring Boot project for us. 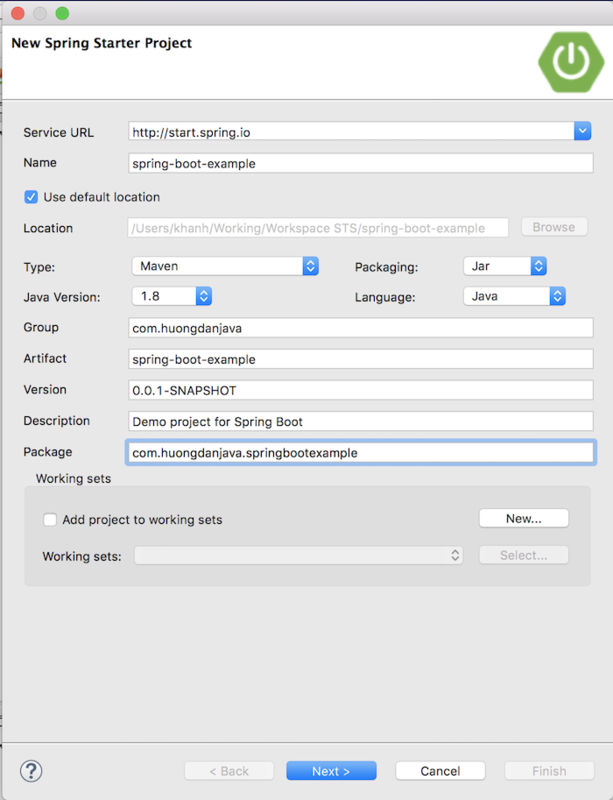 Click the Finish button to finish creating a new Spring Boot project in your STS. I habe downloded STS and unzipped it and I ahve successfully launched the STS.When I try to create new starter project i am not able to see all the options in the New Spring Starter Project window except service URL. Can I know the reason? 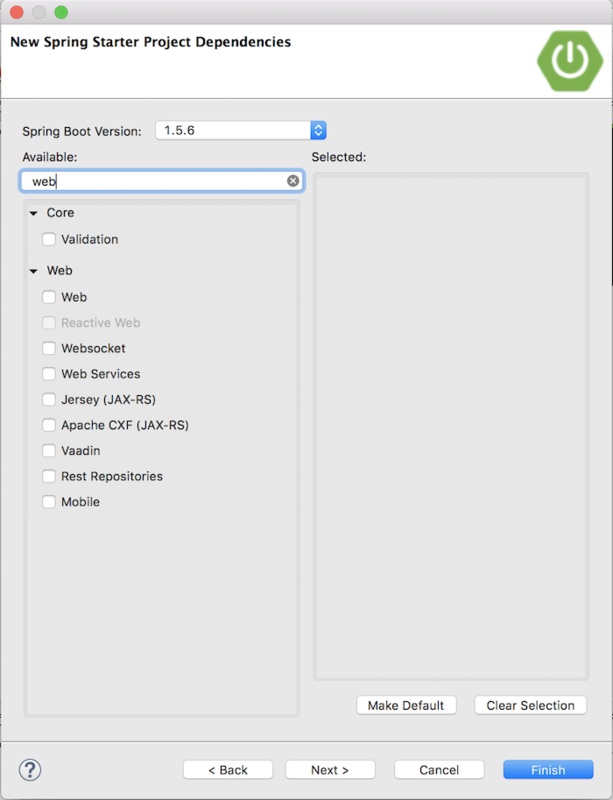 Are you able to create the Spring Boot project? I tried with the latest version of Spring Tool Suite 4.x, the Service URL still be here. Do you see any error?